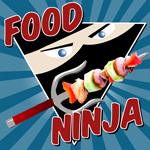 I used more of the delicious items from my weekend trip to the Santa Rosa Original Certified Farmers Market in today's bento. I roasted one of the chioggia beets from Singing Frogs Farm in a 425 degree oven, wrapped in foil, for about 45 minutes. I sliced big chunks of it and then cut those chunks with cookie cutters to make the flower shaped beet slices in this bento. 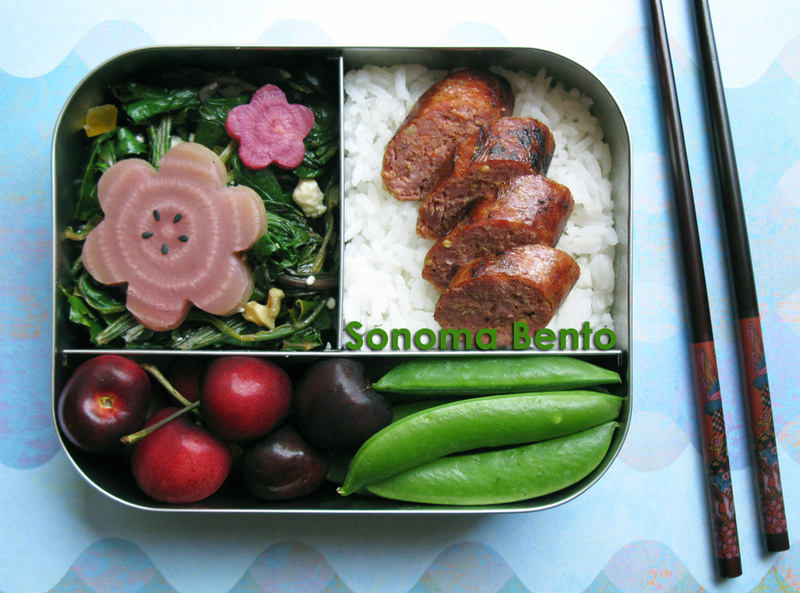 Also in this bento: beet greens, rice, Texas Style Hot Links from Franco's One World Sausages, sugar snap peas, and cherries. 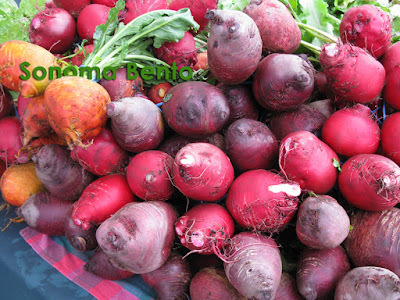 The little seeds in the middle of the beet are black sesame seeds. I also sauteed the beet greens with olive oil, garlic, and shallots as a bed for the beets. After the greens were done, I squeezed a bit of lemon juice on them, then tossed them with a bit of crumbled Point Reyes blue cheese, toasted walnuts, and chopped Italian orange peel. Italian orange peel is preserved orange peel, similar to candied fruits you might find in a fruitcake. But not disgusting, ha ha. A big ol pile of assorted beets at the Santa Rosa Original Certified Farmers Market. 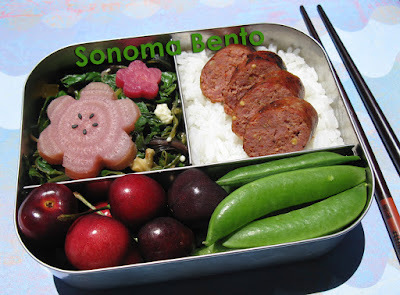 I hope you will join me on June 28th at the Sonoma Marin Fair for my bento demonstration. 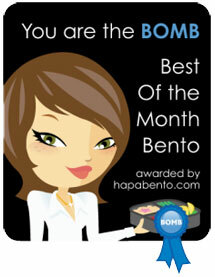 It will be at noon and I will show you how to pack a bento, and I will also have a starter bento kit for a lucky member of the audience.